We have pallets of Wahl, Vidal Sassoon, Nicky Clarke and Lee Stafford hair care raw returns in stock for export. 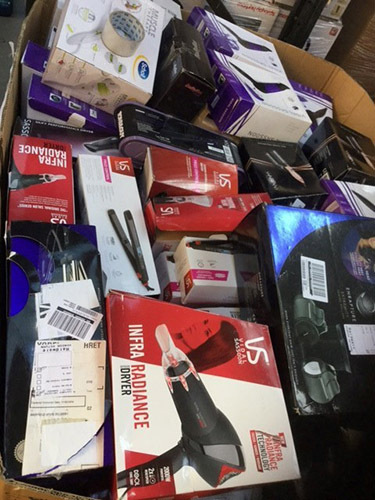 The pallets contain a multitude of products such as hair clippers, hair straighteners, hair dryers and much more. As an example we have Wahl hair clippers for £3.50 each. For more information please contact us.